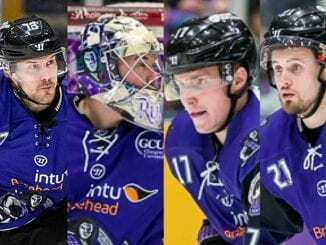 Glasgow Clan Chief Operating Officer Gareth Chalmers says the club are big enough to be in the Challenge Cup Final – a year after their play-off humiliation. His team, coached by Pete Russell, are off to Belfast on Thursday to take on the Giants in their semi-final second leg for a place in the Cardiff final next month, holding a 2-1 aggregate lead. Chalmers says the club have come a long way from that disappointment that led to the dismissal of previous coach John Tripp. “To reach the final of this tournament is something we need as an organisation,” Chalmers said. “It’s our ninth year and we’ve never got to a major final. To me, we’re big enough to do that now. 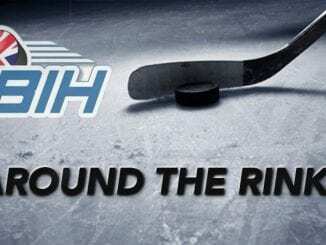 “The club off the ice is solid and the next level for us to win trophies. It’s difficult to break that, but once you win one, it can breed more success. “It’s going to be difficult in Belfast. We know that and if we do it, fantastic. But when you look at the bigger picture, then to be in the last four of the Challenge Cup, it’s a massive stride for us to take. “The last couple of years have been difficult for the club as a whole. Last season in particular was bitterly disappointing and we expected to do so much better on the ice. The ramifications of that campaign hit the club’s fanbase hard and Chalmers found himself under heavy fire from fans after presiding over such a poor season. For the first time, his stewardship was in question and he’s more than happy to admit he done some soul searching as he surveyed the wreckage. He added: “With the disappointment of what happened the last couple of years, to see my name being banded about negatively, it’s all part of the nature of sport. “If people aren’t happy, they’ll express it. I completely understand that and at times, like the end of last season, there was a lot of soul searching. “Mistakes were made and I admit that. We honestly thought John Tripp was the right man for the job at the time, but for whatever reason he wasn’t. 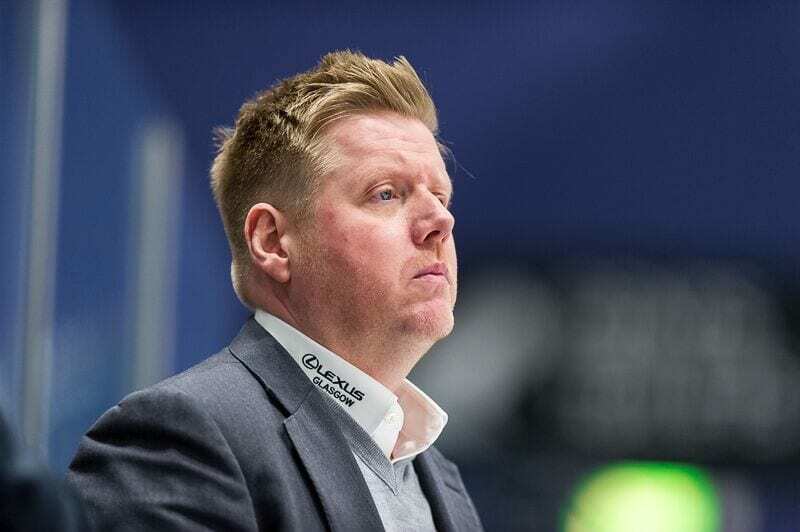 After Tripp’s exit, they had to move quickly on the day of the play-off final last year, Clan decided to announce they had a new coach in place and ready to start preparing for this season. 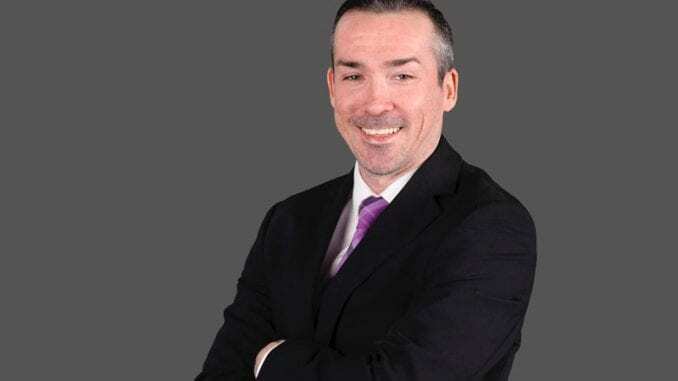 The appointment didn’t go down well in certain quarters, considering Russell had just left Milton Keynes Lightning, a side who finished second bottom in the Elite League in their maiden campaign in the top flight. 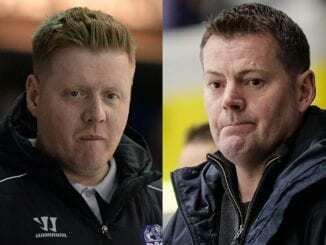 In general, it was one met with a mixed reaction by the Purple Army, but Chalmers had an unwavering belief that his new coach would deliver. He added: “We always knew bringing Pete in would cause a mixed reaction. There were those questioning us appointing whose team had just finished second bottom in his first year. “They probably looked at it as a lack of ambition, but there was always more to him that that. It was an easy decision when you look closer at his career. “I was disappointed with the reaction, but I understood it. But we were always confident we had the right guy and it’s proved to be the right move so far.